Operation Herrick is the codename used for all British military operations in Afghanistan since 2002. The British contribution to the NATO-led International Security Assistance Force (ISAF). Military operations in support of the US-led Operation Enduring Freedom, principally within the Helmand Province in Southern Afghanistan. In 2012, British Prime Minister David Cameron announced the intention to withdraw almost 4,000 British troops (almost half the force then present) during 2013. 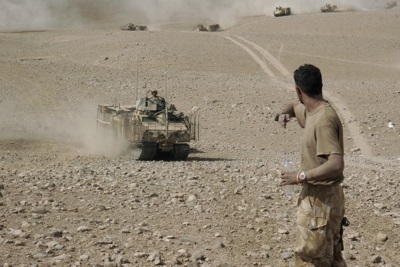 As a result, British combat operations came to an end in 2014. Operation Veritas was the codename for the British military operations against the Taliban from October 2001 to Summer 2002. Operation Jacana was the last major British action within Operation Veritas and involved approximately 1,700 troops from 45 Commando Royal Marines, as well as US forces, Australian SAS, and Norwegian Special Forces (FSK). Operation Fingal was a 2,000 strong contribution and leadership role in the ISAF force in Kabul from December 2001, until Turkey took over the leadership role, and the British contribution could be scaled back.